An hour outside of Washington D.C. lying in the shadow of the Massanutten Mountains is the town of Front Royal Virginia. Offering entrance to the Skyline Drive, George Washington National Forest, Shenandoah National Park, and the South Fork of the Shenandoah River is a mecca for outdoor enthusiasts. In addition, to the natural beauty of the area, Front Royal is rich in history and provides visitors a chance to step back in time. 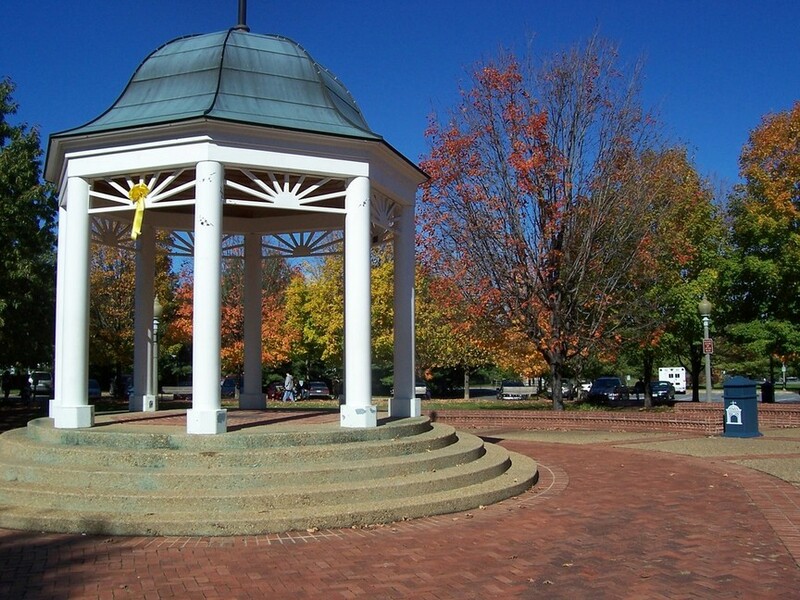 The town draws visitors and citizens out of busy city life of Northern Virginia and provides a small town local feel. 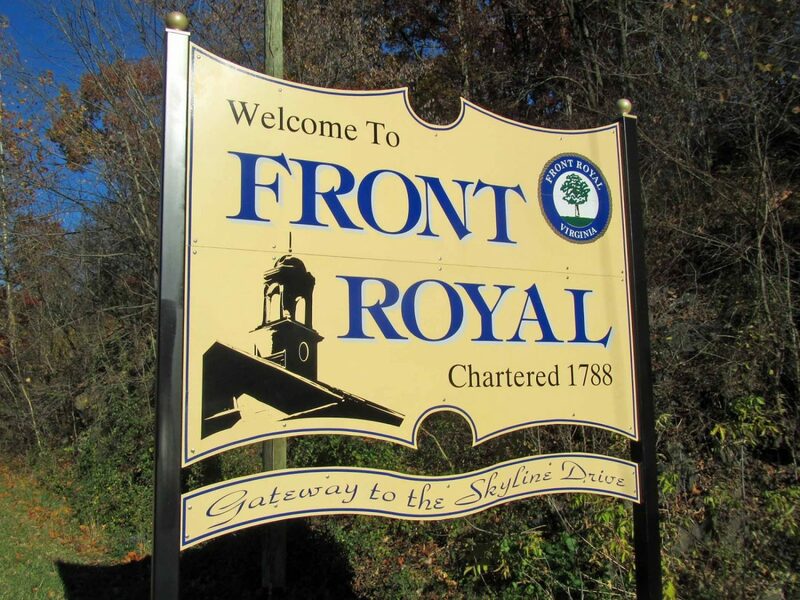 There is much lore around the circumstances of how Front Royal got it’s name. Some claim that it was part of the “royal frontier” that rested between British and French territories. Town natives say the name is derived from the large tree that rested in the center of town. When the local militia did not follow orders the commander shouted, “Front the Royal Oak” which adapted into Front Royal of today. Front Royal falls in the Royal Shenandoah Greenway area of the state. This area is broken down into various, interconnected trails that highlight the various natural wonders of the surrounding region. This could include a ride on the South Fork of the Shenandoah River, the Canoe Capital of Virginia, or hike through varying loop trails of the Shenandoah National Park. The town is also designated as one of the Appalachian Trail Communities, due to 30 miles of the prestigious trek that flows through the town and Warren County. Hikers can find rest and a hot shower at the 4-H camp as well as boxes for messages from home in downtown corridor. 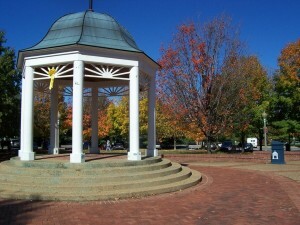 The downtown historic district is the jewel of the town and boasts architecture dating back to the late 1700’s. The oldest house is the Balthis House which was constructed in 1787 and occupied by the family owners until the early 1900’s. Chester Street is home to a circuit of historical homes that accommodate the Warren Heritage Society, museums, and gift shops. Those seeking a “quest” back in time could stop by the Front Royal – Warren County Visitors center to retrieve a “quest passport” for the themed treasure hunt of the area and enjoy the journey of discovery. Front Royal, like much of the Shenandoah Valley, is steeped in Civil War antiquity. Prospect Hill Cemetery is the mecca of this history. A monument in memory of the seven Mosby’s Rangers killed because of General Grant’s order to kill any captured stands at the entrance. At the top of the cemetery’s hill lies the resting place of 276 Confederate soldiers, representing each of the thirteen Confederate states. Also from this vantage point, General Stonewall Jackson commanded the Battle of Front Royal in 1862. 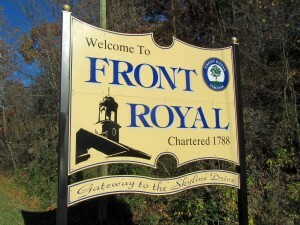 Front Royal is focused on preserving the history and natural beauty it is known for and using it as a foundation for growth into modern times. Brief Description: The service focus for this project was Street Work. At the intersection of Manassas Ave and Braxton road we installed 300 linear feet of 6” Class 52 ductile iron pipe, 5 gate valves, 1 cross, 1 tee and 2 reducers. Traffic control was required. There was a work limitation from 9am-2pm due to school bus traffic. Water shutoff for this street was restricted until after 6pm since it affected Marlow Heights Baptist Church preschool activities. At the intersection of Manassas Ave and Happy Creek Rd we installed 800 linear feet of 6” class 52 ductile iron pipe, 1 fire hydrant, 1 cross, 1 tee, 8 gate valves, and transferred 16 existing water taps from existing main to new 6” water main. Traffic control pressure testing and bacteria testing was required. We replaced galvanized water services and upgraded existing ½” copper services to ¾” copper services. Curb and Side walk repair was the final step. As-Built record drawings were executed for both projects. Change Order(s): We Installed 140’ of additional 6” DI waterline on Manassas Ave. between Braxton Road and Happy Creek Road to complete the connection, and this change order included 4 existing service tie ins. Brief Description: The service focus for this project was Street Work. From the first intersection of W. 16th Street and Hillcrest Drive to the second intersection of W. 16th Street and Hillcrest Drive we installed 900 feet of 6” ductile iron watermain. From the intersection of Jefferson Ave and 16th Street to the dead end we installed 234 LF of 6” ductile iron watermain. On the remaining two sections of Hillcrest we installed 722 LF of 6” ductile iron watermain. We transferred twenty one ¾” water services, installed 21 gate valves, 4 fire hydrants assemblies with tees, and 5 crosses. We had to provide notices and coordinate water shutoff for houses as well as Warren County Parks and Recreations Department. Traffic control, pressure testing, bacteria testing and a full set of As-builts were required. Change Order(s): We installed 49LF of 6” ductile iron waterman to complete the 234ft section which actually measured to be 283LF. Also we completed several service upgrades from ½ copper lines to ¾ copper lines. Brief Description: The service focus for this project was Utility Work. This project included the installation of approximately 2700 linear feet of 6” HDPE fused pipe for a sewer pump line, 400 linear feet of 8” gravity sewer, and several manholes for the Warren Co Energy Partners (Dominion Power) Gas Fired Power plant in Front Royal VA. Challenges on this site included: intense safety protocols that included safety classes for all works associated with the project, environmental and security regulations across multiple agencies and at regular intervals, pipe and manhole installs that were up to 17’ deep which had to be installed using various shoring methods, and a considerable amount of solid rock found at these low depths. We also performed some general erosion and sediment control practices, site clearing and restoration. Brief Description: The service focus for this project was Street Work. Spot repairs to prepare defective sections of sewer identified through an Inflow and Infiltration abatement program for the town of front royal for adequate use. The work required repairs of existing sags, offset joints, removal of protruding laterals, replacement of short sections of damaged pipe, and other defection area problems. 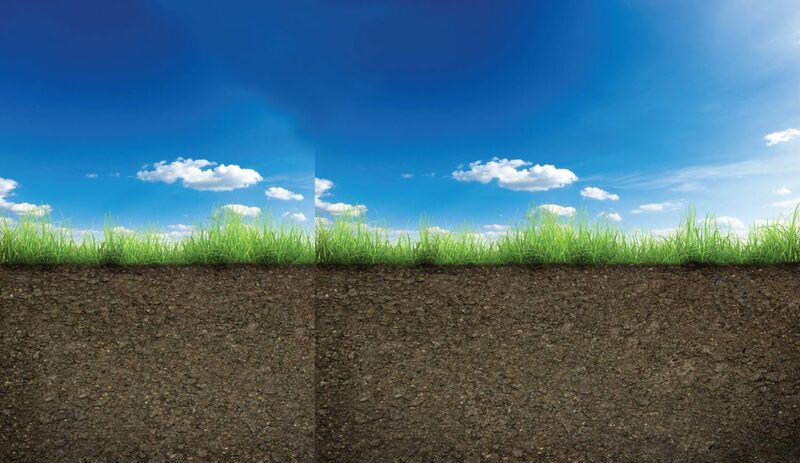 Most of the excavation required deep trenching methods and extended hours for trenches that have reached down to 16 feet in depth. Currently for our ongoing contract we have completed 4 additional projects throughout front royal as they progress on identify infiltration problem areas. Brief Description: The service focus for this project was Street Work. Install 1350 LF of 6” Ductile Iron water main on West 17th Street from intersection of N. Shenandoah Avenue to the intersection of N. Royal Avenue. Transferred 21 existing water services from the old main to the new main, installed 2 new fire hydrants and 6 gate valves. Traffic control, pressure testing, bacteria testing, and a full set of As-builts were required.